Spend the 15th (Sun) spotting exotic species with a safari tour. There's lots more to do: see the interesting displays at Apartheid Museum, try to win big at Gold Reef City, steep yourself in history at Mandela House, and get a sense of history and politics at Constitution Hill. For where to stay, reviews, photos, and other tourist information, use the Johannesburg online route planner . Amsterdam, The Netherlands to Johannesburg is an approximately 14.5-hour flight. You can also do a combination of train and flight. The time zone difference when traveling from Amsterdam to Johannesburg is 1 hour. When traveling from Amsterdam in September, plan for a bit warmer days and about the same nights in Johannesburg: temperatures range from 30°C by day to 12°C at night. Finish your sightseeing early on the 15th (Sun) to allow enough time to travel to Kruger National Park. Spend the 16th (Mon) surrounded by wildlife at Game drives at Phalaborwa Gate in Kruger National Park. The adventure continues: trek along Sweni Wilderness Trail, get great views at Nkumbe View Site, tour the pleasant surroundings at Lonely Bull Trail, and get outside with Wild Frontier Adventures. To see photos, reviews, ratings, and more tourist information, refer to the Kruger National Park online attractions planner . Do a combination of flight and taxi from Johannesburg to Kruger National Park in 5 hours. Alternatively, you can drive; or do a combination of bus and taxi. In September in Kruger National Park, expect temperatures between 32°C during the day and 15°C at night. Finish up your sightseeing early on the 19th (Thu) so you can travel to Hoedspruit. 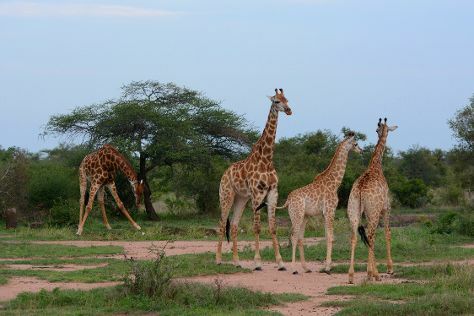 Hoedspruit is known for parks, zoos & aquariums, wildlife, outdoors, and spas. Your plan includes some of its best attractions: tour the pleasant surroundings at Moholoholo Wildlife Rehab Centre, view the masterpieces at Kingfisher Gallery, get outside with Siyafunda Conservation, and relax and rejuvenate at some of the best spas. For other places to visit, more things to do, traveler tips, and other tourist information, use the Hoedspruit day trip planning app . You can do a combination of taxi and bus from Kruger National Park to Hoedspruit in 2.5 hours. Another option is to drive. In September, daily temperatures in Hoedspruit can reach 32°C, while at night they dip to 15°C. Cap off your sightseeing on the 22nd (Sun) early enough to catcht the bus to Hazyview. You'll find plenty of places to visit near Hazyview: Nelspruit (Kruger National Park, Lowveld National Botanical Garden, & more). 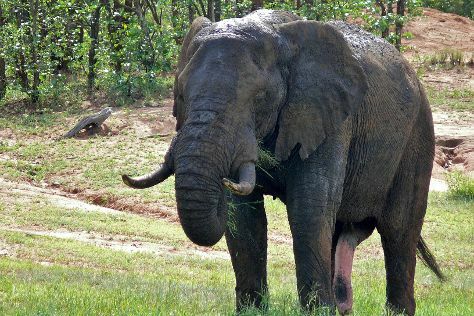 There's lots more to do: tour the pleasant surroundings at Elephant Whispers, see exotic creatures in open habitats at a safari tour, and look for gifts at Katundo Leather Shop. To see ratings, other places to visit, reviews, and other tourist information, read Hazyview tour itinerary planning website . You can take a bus from Hoedspruit to Hazyview in 1.5 hours. Alternatively, you can drive. In September, daily temperatures in Hazyview can reach 30°C, while at night they dip to 16°C. Wrap up your sightseeing on the 25th (Wed) to allow time to travel to Oudtshoorn. Kick off your visit on the 26th (Thu): cruise along Swartberg Pass, explore and take pictures at Wilgewandel Holiday Farm, and then explore the fascinating underground world of The Cango Caves. To find maps, reviews, more things to do, and other tourist information, refer to the Oudtshoorn holiday website . Do a combination of taxi, flight, and bus from Hazyview to Oudtshoorn in 7.5 hours. Alternatively, you can do a combination of bus, taxi, and flight; or drive. Expect a bit cooler temperatures when traveling from Hazyview in September; daily highs in Oudtshoorn reach 22°C and lows reach 10°C. Wrap up your sightseeing on the 26th (Thu) to allow time to drive to Cape Town. Cape Town is known for nature, parks, beaches, shopping, and museums. Your plan includes some of its best attractions: stroll through Cape of Good Hope, hike along Platteklip Gorge, admire nature's wide array of creatures at Two Oceans Aquarium, and kick back and relax at Boulders Beach. To see maps, other places to visit, photos, and other tourist information, you can read our Cape Town itinerary builder site . You can drive from Oudtshoorn to Cape Town in 4.5 hours. Other options are to do a combination of bus and flight; or take a bus. In September, daytime highs in Cape Town are 23°C, while nighttime lows are 11°C. Cap off your sightseeing on the 2nd (Wed) early enough to travel back home.